Netflix's at-times frustrating mystery sci-fi drama finally returns, with thankfully more than just an elaborate dance routine up its sleeve. Steeped in moody mystery, oozing style and capped off with some fine performances from the ever-reliable Jason Isaacs as well as series lead (and co-writer) Brit Marling, The OA risked all to literally take viewers to another dimension, only to end on a world-class anti-climax that failed to capitalise on everything that had gone before. Perhaps this would not have mattered in any other show, but The OA built up such a deep and complex backstory (hell, arguably backstories) but then, towards the final few episodes, blindsided viewers with elements which could easily have caused an immediate viewer decline. This left it with no option but to go out with a blazing conclusion which rewarded those prepared to go the extra mile to really suspend disbelief. Unfortunately, it did not pick that option. Despite all of this, the show was remarkably compelling, securing your attention (and/or suckering you in, depending on viewpoint), with a mysterious 'abduction' plot that immediately made you think of aliens and otherworldly happenings, before bringing things crashing down to a much more harrowing journey which was - thankfully - even more gripping. Once the claws were well and truly in, however, it took a sharp left into what can either be regarded as hard sci-fi, or an almost comedic form of modern dance trussed up as meaningful physical incantations. Its final few minutes pitted the present-day protagonist, Brit Marling's once-blind, 7-year absentee, Prairie - and her motley crew of unnaturally loyal acolytes - against a rather random new 'enemy', culminating in an act of pure insanity that was so wildly and stylishly executed that it completely obfuscated the fact that it was utterly pointless and entirely ineffective. Or was it...? 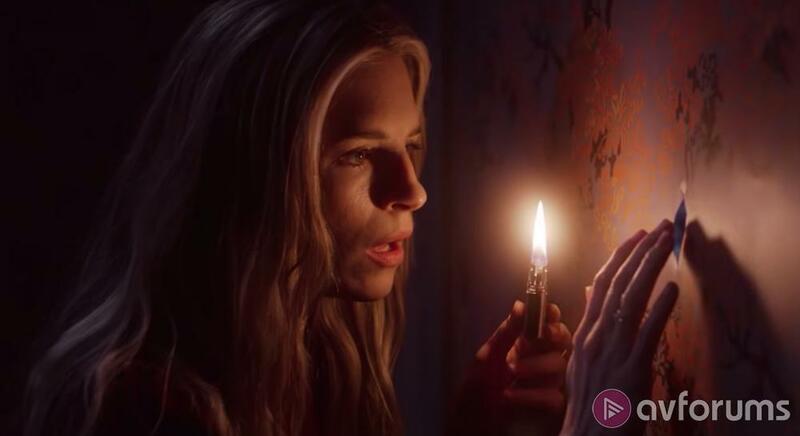 For fans who stuck with it, through, through complex twists and wacky developments, The OA finally comes good on its promise in its second season, striking out with a wild opening episode that may not answer any questions - indeed it just expands the mystery - but still at least takes things in a different direction. The hard sci-fi elements are a welcome reward for loyal fans, messing with your head as it reframes its key players in a murky new environment where everything is different but - particularly when it comes to Jason Isaacs' obsessed 'doctor' - everything is also strangely the same. It takes a couple of episodes to return to the full crew in both timelines, with the 'present' group still reeling from the events at the end of the last season, but this second 'part' introduces a new contingent to the mix, an ex-FBI-agent-turned-Private-Detective, who stumbles across his own odd happenings which may or may not be linked to the plight of the two sets of five. Of course, it's here where Part 2 repeats the shock tactics of the first season, blindsiding the audience with yet another hard-to-swallow revelation, introducing themes of dream-capturing, future-charting and other odd happenings - elements best kept vague for you to discover for yourself. At its core, The OA remains a strangely compelling piece, which almost shouldn't work, but still does, not least because finally - in this second 'part' - it actually goes where it was promising to all along. Marling still commits to the lead role, wherever it may lead, Kingsley Ben-Adir's detective makes for a nice addition to the ensemble, and it's always nice to see the eternally beautifully Irene Jacob (Three Colours), and, of course, Jason Isaacs still owns the show, as one of the best antagonists on TV right now (oh how Discovery needs him back). It's worth watching for him alone and, if you can handle the frequently under-explained strange, you may just find it intoxicatingly unique. Write your The OA Movie review.